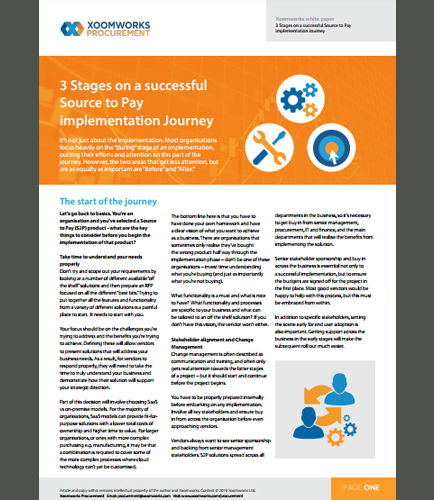 "Stages of successfully implementing a source to pay process"
What is a source to pay? Why do you need a source to pay process? Source to pay provides complete end- to-end outsourcing solution. Processing thousands of invoices, supplier data, purchasing requisitions and expense details is a burden. In order to overcome this challenge, an organization needs a procurement process to manage purchasing, sourcing events and improve business performance. Source to pay process spreads across all the departments in businesses and suppliers in a way that no other system does. Procurement process not only creates a better strategic sourcing approach that delivers greater savings and enhanced visibility, but also increases control and ongoing process.